Reality is a state of mind. So yes it is optional. You are sure of only one thing, "I think, therefore I am". You know you exist, everything else is open to interpretation. Right now, we think we are on the net arguing about sexuality. But there is a good to fair chance you are in a home facing a wall saying "I hate faggots, I hate faggots, I hate faggots." 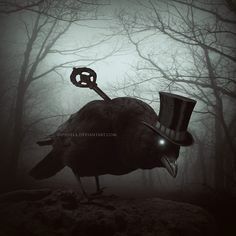 Raven would rather ask questions that may never be answered, then accept answers which must never be questioned. Well, there's reality and then there's reality.... are you suggesting that any reality in any person's mind is totally acceptable? A midnight strangler who has a reality of 'this is normal' is OK? A concentration camp doctor who splits children into the 'useful' and the 'useless' and disposes of some? A tribe that goes around hacking another tribe's women's breasts off since that tribe is 'a threat to them' for occupying a part of 'their' land? An Indigenous person whose only real problems have come 'at home' and from his/her own behaviour is somehow 'invaded' by a small event 231 years ago and thus derives rights to attack others? Are these the kinds of 'acceptable' realities we are discussing here. because they exist in people's minds? Or should reality be compassed by verifiable facts and reasoning, and other 'realities' be considered in varying grades of reality?? Back in the closet and STFU is my advice to them... NOBODY CARES! You wanna chop yourself up and act out some fantasy - go for it - in silence.... nobody 'hates' you - they simply don't GAF until you fling your insanity in their face and lay into them about YOUR problem! Grappler's Theory Of Reality Relativity. Australian Politics Forum » Powered by YaBB 2.5.2!